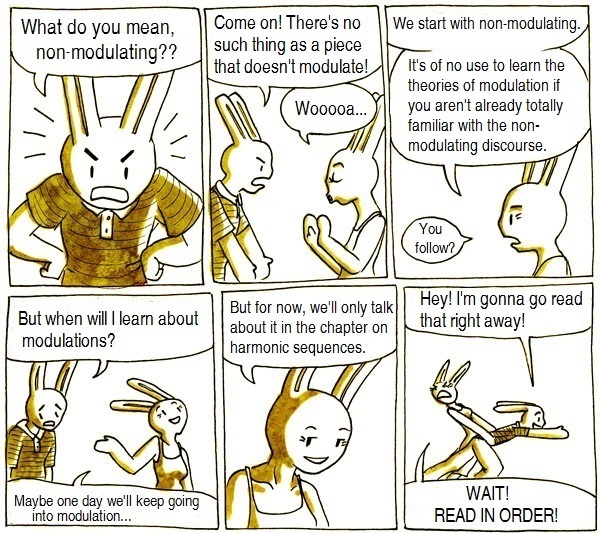 In presenting the analytical model, it is important to specify that in this first part, I will limit myself to the portion of the theory relevant to the non-modulating harmonic discourse. Only occasionally (especially in the context of the section dedicated to the harmonic sequence) will I point out certain elements specific to the workings of the harmonic discourse which modulates. Let us now begin to outline a theory of the constants of the tonal, non-modulating harmonic discourse.